All events are in the Cox & Palmer Second Space at the LSPU Hall unless stated otherwise. 9-10am - Morning Coffee and a discussion led by Nicole Smith of Sonderlust. 1-3pm - Commissioning Panel - Featuring Berni Stapleton, Nicole Rousseau and Nicole Smith. Moderated by Laura Huckle. Featuring Nicole Rousseau, Lauren Patten and Emma Jane Donnan. Featuring Claire Hewlett, Marquita Walsh, Nora Barker and Brian Marler. 12-2pm - Creating Work Opportunities - Featuring Jenn Brown, Nicole Smith, Natalia Hennelly and moderated by Sharon King-Campbell. 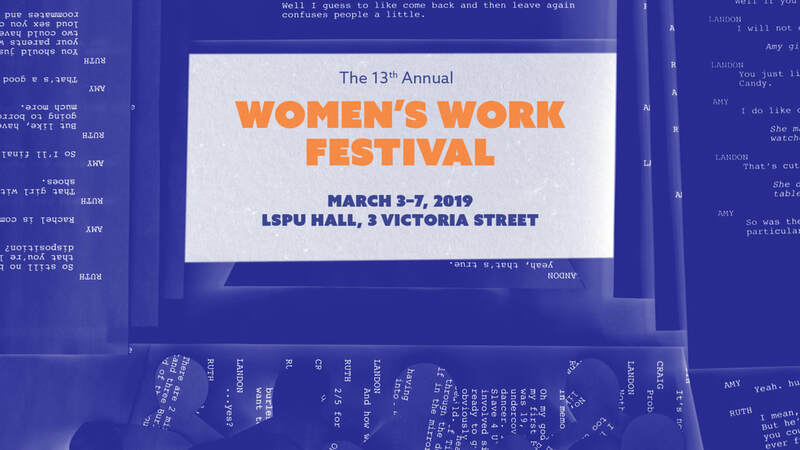 Featuring Claire Rouleau, Alison Woolridge, Willow Kean, Taylor Stocks, Fionn Shea, Vanessa Cardoso, Nabila Qureshi, Marie Jones, Sheila Redmond, Stephanie Curran, Karen Monie, Wendi Smallwood. 12-2pm - Producer's Panel Featuring Nicole Rousseau, Courtney Brown and Lisa O'Connell. 7pm - Special Guest Reading from Kristin Shepherd, PGC Member, supported by PlayConnect. ​1.30pm - Hot Chocolate Social!